2011, you were jam packed with memories. You brought me peak anxiety levels and also showed me how amazing life really is. 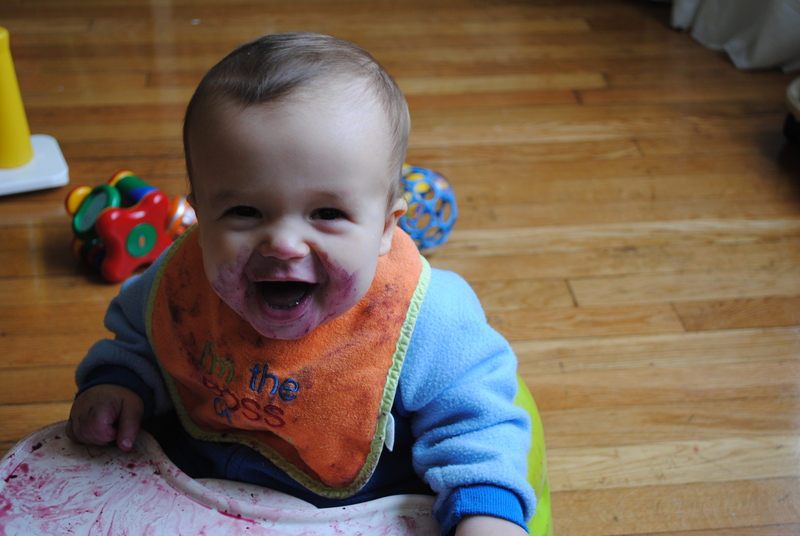 You brought a first birthday, first steps, family road trips and local food trucks. You helped me find my style and helped me figure out what it is I really want to ‘do’ in my life. You brought me diy heaven and you brought me an amazing wedding that I’ll be remembering forever. You brought me a love of coffee that I never thought I’d acquire- that could be a problem. You brought me closer to the family I’ve known all my life and closer with a whole new half of my family. This year was a good one! I’m pretty stoked on all of the sweet things that are going to happen to us in 2012! 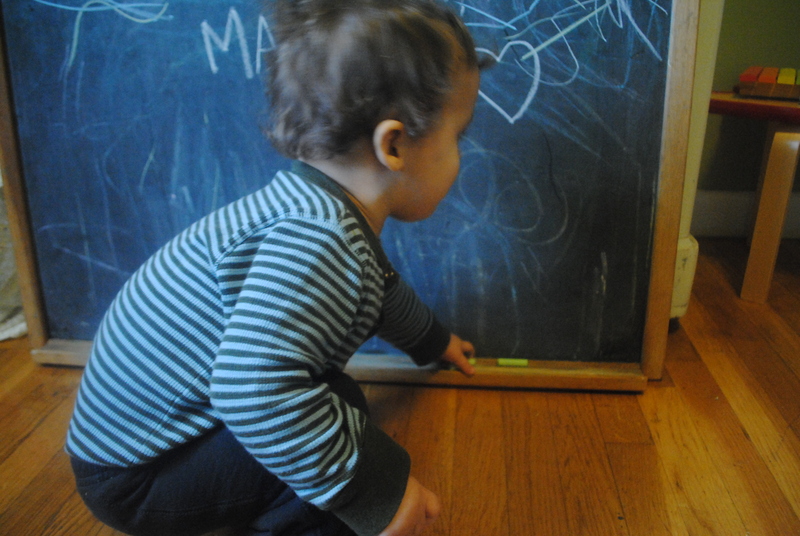 Anyway, since Max has been eating things less and less, I decided to break out the chalk and let him go to town. 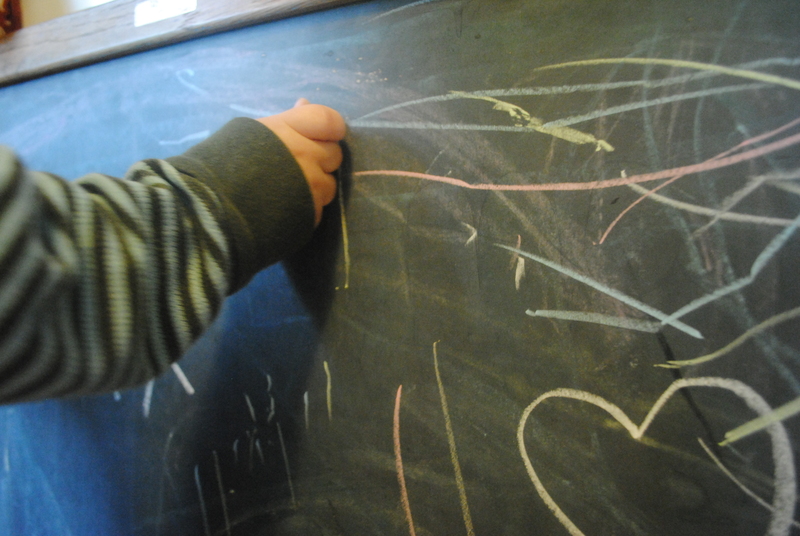 I wrote his name a drew the heart, but all the other lines are all him. I have plans to hang this in the living room at his level, but for now it’s in our bedroom. This place has been getting pretty cozy and homey lately! Even though Christmas is over for this year, I still wanted to share this really awesome version of Blue Christmas. One of my favorite daily reads, Skunkboy Creatures, recorded this song with her husband. Their two-person band is called Gift Horse. I just love it! Last Sunday we headed over to Aunt Sue and Uncle Rodney’s house for a Christmas get together with the whole Furtado clan. It was a lot of fun! I am really glad I got to go! She really knows how to throw a holiday party! There was a gigantic, beautifully decorated tree, decorations everywhere and tons of gifts- the kids were really excited! They had lots of food and all so delicious! Of course, I forgot to bring my camera so there aren’t any photos from me but hopefully someone else has some. 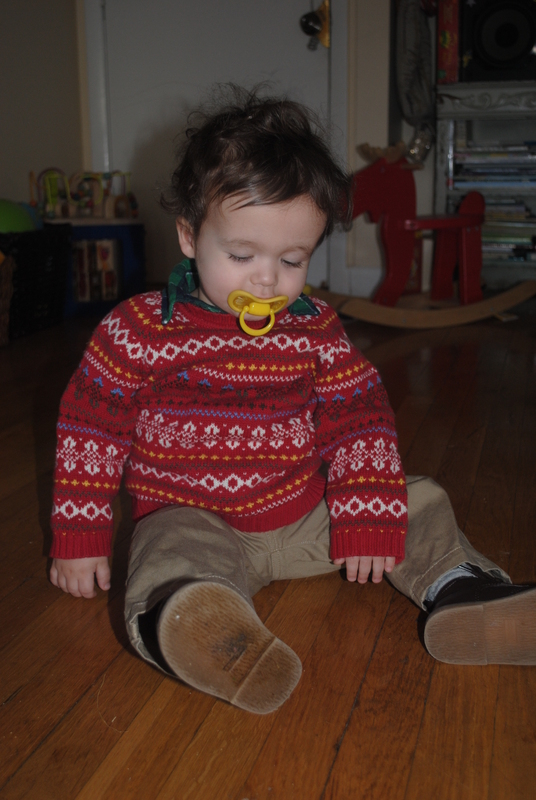 I did grab a photo of Max before we left the house in his Christmas sweater. I tried to get one without the bon bon in his mouth but dude was not having it. 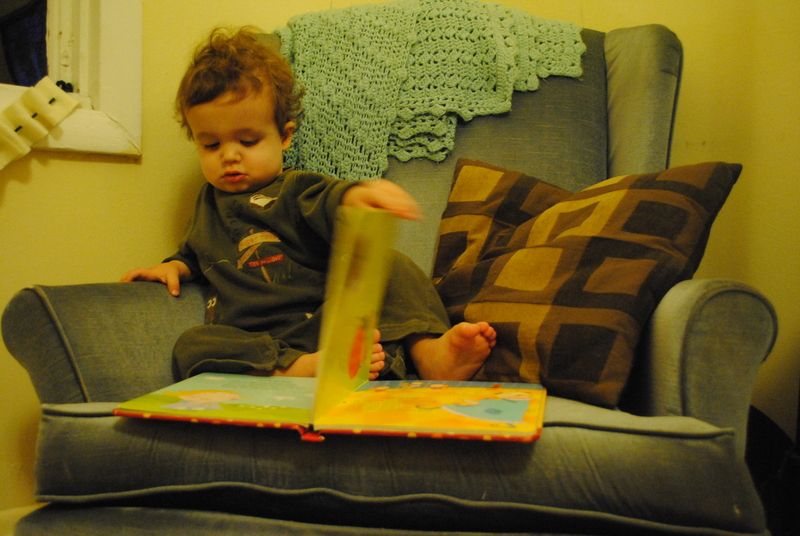 Folks, we have a mini reader on our hands. Well, he looks at books anyway. Even better when they’re upside down, am I right?